Beginning in January 2008, the FDA required that food labels include information on trans fats. The FDA approved this new regulation because of the conclusion of the National Academy of Sciences (NAS) that there is no safe level of trans fats in the diet. Trans fats are man made, factory fats. Many times they are of GMO origin as well. They do not occur anywhere in nature (more on this below). Edible oil companies create it via the highly industrialized, chemical process of partial hydrogenation. 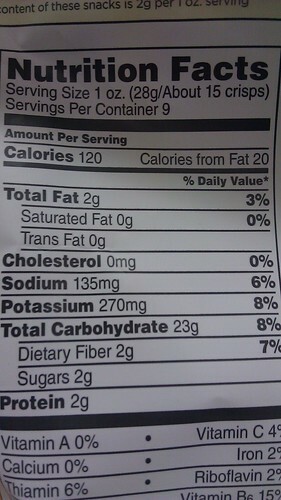 This is why health authorities sometimes refer to trans fats as partially hydrogenated fats. The list of ailments associated with trans fats are many. With the labels of most processed foods now proudly displaying zero trans fats, consumers may think they have now rid themselves of this dangerous ingredient. To determine the extent of the trans fat labeling fraud, the Weston A. Price Foundation contracted with the Burnsides Research Laboratory at the University of Illinois to test various grocery items for trans fat content. While the results of this testing did indeed indicate that the trans fat content of processed foods is greatly reduced, it is far from gone. This is because food manufacturers are permitted to put ZERO next to the trans fat line item on the label as long as the food contains .5 grams or less of trans fat per serving. Food manufacturers work around this requirement by making the serving sizes unnaturally small. These portions are not based on the reality of how people actually consume these products. If an individual eats an entire bag of chips or close to it while watching TV, for instance, quite a bit of trans fats will be consumed. Remember that the NAS said that there is no safe level of trans fat consumption. The good news is that some of the foods tested such as Oreos and Goldfish crackers accurately tested at zero transfats. No trans fats doesn’t mean that the few accurately labeled foods are free from factory fats though. It just means that they are free of one type of dangerous fat. Interesterified fats are the go to factory fat used in place of trans fats in processed foods. These fats have their own health concerns as they are very high in cancer causing free radicals. This occurs due to the high heat processing required to produce them. So, while Country Crock is labeled “heart healthy” because it is very low in transfats, on the flip side it is very high in delicate omega-6 fats (vegetable oils). When subjected to the high heat interesterification process required to produce it, this butter substitute becomes dangerous to health and very likely carcinogenic. It is best to avoid any type of fat that requires a factory to produce it. The good news is that health oriented food companies are starting to switch to healthier alternatives like avocado oil. This fat can withstand very high temperatures without rancidity setting in. Trans Fat in Animal Foods? One last point about trans fat. Don’t fall for the misguided argument that animal foods like butter, cream, and grassfed meat should be avoided as they contain a small amount of naturally occurring trans fat. Federal labeling for trans fat does not distinguish between naturally occurring trans fat and the artificially created, synthetic kind. However, the trans fat in animal foods is completely different structurally to the factory produced trans fats in processed foods. Trans fat in animal foods is actually trans vaccenic acid (VA) and is used by humans to synthesize conjugated linoleic acid (CLA). CLA is highly beneficial for losing weight and building muscle mass. CLA can reduce risk factors for the Big Three of degenerative disease: obesity, heart disease, and diabetes. So next time you see a ZERO next to the trans fats on your favorite processed food label, know that chances are these dangerous factory fats are still in there. But don’t be put off by trans fat content of natural foods like butter. These trans fats made by Mother Nature will help keep you slim and healthy! Gouda Cheese: The Most Nutritious Choice?